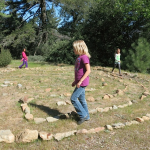 At our mountain cabin, I recently built a labyrinth with my dearest friend, Angela. 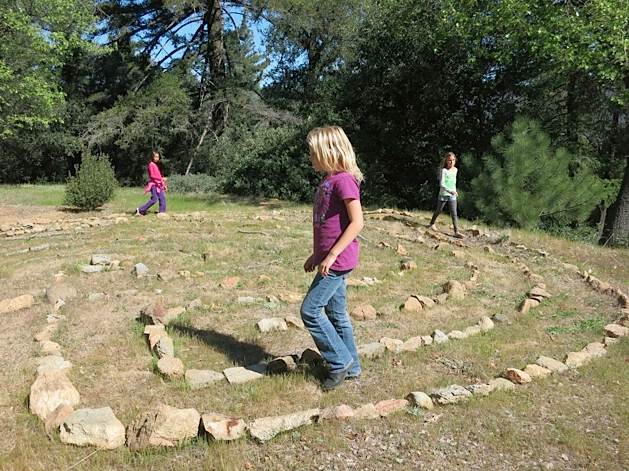 It was at Holden Village (http://www.holdenvillage.org/) that I first discovered the power of the labyrinth. It may look like a maze, but in reality it is a single path. In other words, you can’t go wrong. Unlike life there are no wrong turns, no dead ends, and no tricks. It’s more like the Yellow Brick Road (although mine is paved with much more humble materials). But much like life, I find that the labyrinth sometimes leads you in circles. It sometimes brings you dangerously close to the end, or the apex, only to twist you off in another direction. It has a beginning, a middle, and an end. 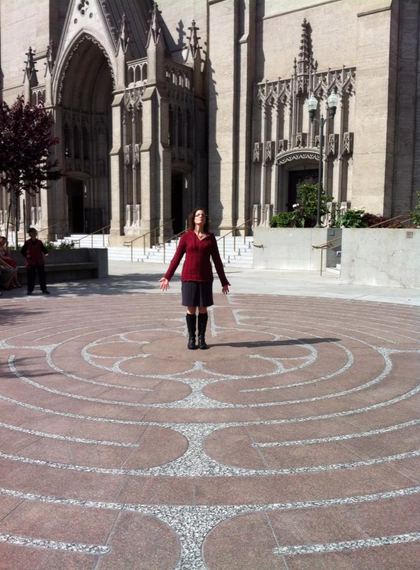 And in my labyrinth, there are bumps and narrow sections. I almost always find myself thinking about all the ways in which the labyrinth is a metaphor for life. 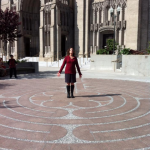 I recently visited Grace Cathedral (http://www.gracecathedral.org/) in San Francisco and walked their outdoor labyrinth. Aside from having a different pattern than mine (theirs is the Medieval pattern and mine is Classical), theirs is also smooth and uniform. It’s beautiful, and I was so pleased to have the chance to walk it. But I have to admit… I missed the rocky spots and surprising divots of my homemade path. And what of the center? I must admit I’m not always sure what to do there, or how long to stay. That is one of the questions I’m excited to have the chance to explore with my labyrinth. I recently had a group of grade-school girls at my cabin. They were fidgety and bickering when I showed them my labyrinth. I was amazed to see how the mere act of walking on a given path calmed and quieted them. They asked what they were to do in the middle. I suggested it could be a place to simply take a moment and stop, rest, sit quietly, or pray, and they were unflinching in their embrace of the idea. One girl knelt on the ground, put her hands and head on the stone, closed her eyes, and was still. The others waited patiently, and then took their turns. When confronted with the challenge of passing someone (as will happen on a single-lane road such as this), they were hearteningly courteous and composed. When you look up synonyms for “labyrinth,” words like “tangle” and “convolution” come up. I understand why this is so… I’ve heard the word used to describe a complex path. According to Wikipedia (http://en.wikipedia.org/wiki/Labyrinth) Daedalus created the first labyrinth to hold the Minotaur. Despite the fact that it “has an unambiguous route to the center and back,” that first coil was so effective that its maker could barely find his way out. But things aren’t always what they seem, are they? Although it may look like a knot at first glance, my experience of the labyrinth is that of unknotting—of untying the mess, of simplifying, and of gaining perspective. After the calming and centering experiences I’ve had in the labyrinths I’ve walked, I don’t think I could ever use the word to mean anything other than a path of certainty and enlightenment.